Do we need a session? Yes! Well, no but I would definitely suggest having one. Firstly, they are so much fun but there are many more plus points for having one. They are a fantastic way of getting to know your photographer better. Whether you’ve already booked your photographer or want to find out more about them an Engagement session provides an incredible insight into how a photographer works and what you can expect from them on a wedding day. Flipping that coin, they are a fantastic way of giving your photographer an insight into you two. Your photographer will find out how you both connect and how your bodies communicate with one another. 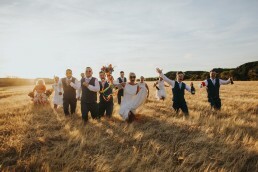 They’ll get to see how you are as partners, and how you react with one another and all of this gives your photographer a huge head start when the wedding arrives. Another huge plus is you will be able to get used to the camera being with you. Now, in a world of constant clicking and snapping of cameras, it’s actually still quite daunting to have a professional camera there with you. It’s my job to help you relax and forget all about that oddness! Trust me, before you know it, you’ll be laughing and joking and dare I say enjoying having your photo taken. You won’t even be thinking about the camera. Having this test run can help you realise that it’s actually not too scary so on the wedding day you’re much more relaxed. That’s all amazing! We’re booked in, Now what? Brilliant! So, you’ve booked your engagement session and now what? Well, here are a few tips on how to make the most out of your session. Location is everything, so before heading to your local park for engagement photos, think about what you really love as a couple and where you really want to be. Do you love your home and all the life you’ve shared there? Is this what you want to be reflected in your images? Are you an adventurous couple who spends your weekends in the mountains or surfing or kayaking? Do you love walking the dogs on the beach? Going to the museum or your favourite bar? Whatever makes you, YOU! Don’t be afraid to incorporate your favourite activities. The idea is to reflect you and your relationship in these photos. Don’t settle for anything less than awesome! If you know of any disused airstrips, they’re always fun! Especially with Bikes! So, certain times of the day that are better for photos and that’s all because of the light! Golden hour, which is that beautiful time of day just before the sun sets is when you want to shoot if you’re looking for that velvety, golden light in your photos. As discussed above, the rain gives incredible light and so much atmosphere so don’t be afraid of it! You want to avoid early afternoon if you don’t like harsh light, the light is super harsh at this time. If you’re in the city then harsh light can be used as an advantage, it will give you striking angles and furious shadows to play with. Early, early morning light can also be magical, so you may want to consider a sunrise session where you arrive at your first location just as the sun starts to rise. Wear something you’re comfortable in. This is mega important. You’ve got to feel good. If you choose clothes that are too tight or require constant adjustment then you might feel flustered and this will come across in photos. Choose outfits that make you feel amazing whilst still feeling relaxed. As much as you consider how your engagement outfits make you feel, think also about how they’ll photograph during your session. Try to compliment your partner but don’t match, unless you’re going for the Tweedle dee and Tweedle dum look. Whatever you wear, you’ll rock the shoot, just be you! If you’re a jeans an tee couple, do that. If you want to get fancy, go for it. A little side note; If it looks like rain then don’t be afraid, embrace it. Bring some wellies and a brolly and jump in the puddles! If you want some more ideas then check out this amazing blog post from Junebug Weddings. Above all, have an Engagement session for you! Have one because you love each other and life is too short not to do fun stuff like this! So If you feel like you want one, CLICK HERE.